There will be many articles about David and Victoria Beckham in the days and weeks to come in the mainstream and soccer media in North America. He is on the covers of Sports Illustrated and W magazines. Here are a collection of links, along with a few articles and posts that I have written about him. Tomorrow, he makes his official appearance in front of the media as a member of the Los Angeles Galaxy. His first game will be on 21 July against Chelsea FC in Los Angeles. Game time is 1730 Pacific time from Los Angeles, and it will be broadcast live by ESPN. 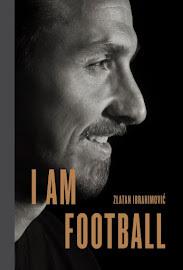 Autobiography: Both Feet on the Ground by David Beckham. His book is available via Amazon. Biography of David Beckham by Wikipedia. A very good biography, along with his team and individual statistics. David Beckham According to Wharton by Steve Amoia. David Beckham: The Cure or the Ailment? by Steve Amoia. My analysis from January about the effect of his arrival in North America. David Beckham Discusses Fabio Capello by Steve Amoia. This was something that I translated from the Gazzetta dello Sport. It was one of the few times that Beckham ever discussed his treatment by Capello after the LA deal was announced. David Beckham Discusses OCD (Obsessive-Compulsive Disorder) by Andy Dolan of the Daily Mail. David Beckham and Reggie Bush: Football versus Football by Steve Amoia. I discussed their interesting ad for adidas, and there are two links to watch how they interacted. Shirt Sales Reach 250,000 for Beckham in LA: By the Daily Mail. At 40 pounds for each shirt, which is about $80 dollars. Walter Smith, Coach of Rangers, on Beckham's Challenge in the USA by Steve Amoia via an interview that appeared in the League Managers Association of Great Britain.